This Koala Baby Lovey will soon be your favourite little marsupial. The koala lovey crochet pattern works up quickly using only one skein and some scrap yarn, which makes it a perfect baby shower gift idea. This crochet koala lovey is the perfect combo of cute, cuddle and quick. Our kids love these – part toy to cuddle, part comfort blanket. This one is simply adorable! If you are looking for something that’ll wow both your crocheting club and your family as well, then the koala baby lovely crochet pattern is just what you need. Koalas are by far the cutest little marsupials, and Koala baby blankets take that cuteness to a whole new level. This koala baby lovey crochet pattern, is the kind of project you’re going to enjoy best in the company of your peers. The koala lovey crochets up rather quickly and only uses one skein and some bits of scrap yarn. Simply put, it is a perfect baby shower gift item. The crochet koala baby blanket is the perfect blend of cute, warm, and delightful. I have to tell you that this pattern is not that technical and is meant for intermediate to advanced crocheters. From my experience, the Koala baby lovey pattern is reasonably manageable provided have the requisite skills. Your baby is going to love the finished piece; it is part toy to cuddle, part comfort blanket and all love. The gauge isn’t too important on this project. 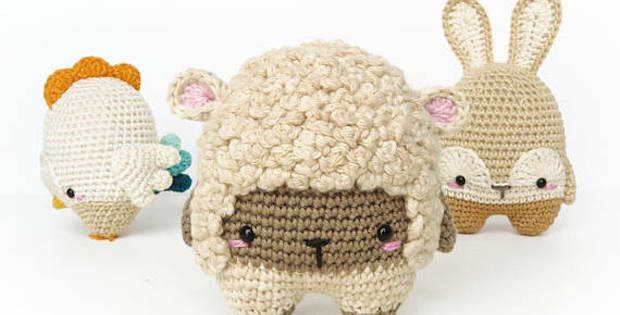 However, since the headpiece is an amigurumi-style portion, you will need to find the right size of crochet hook so that the stuffing won’t show through. If any gaps appear in your head, it is recommended to switch to a smaller size hook. 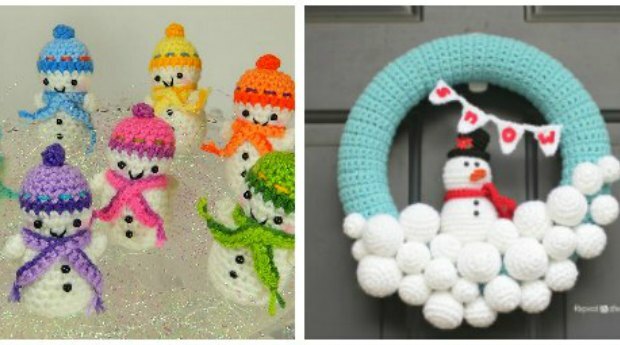 Overall, there shouldn’t be much in your way as you endeavor to crochet up one of these lovelies. 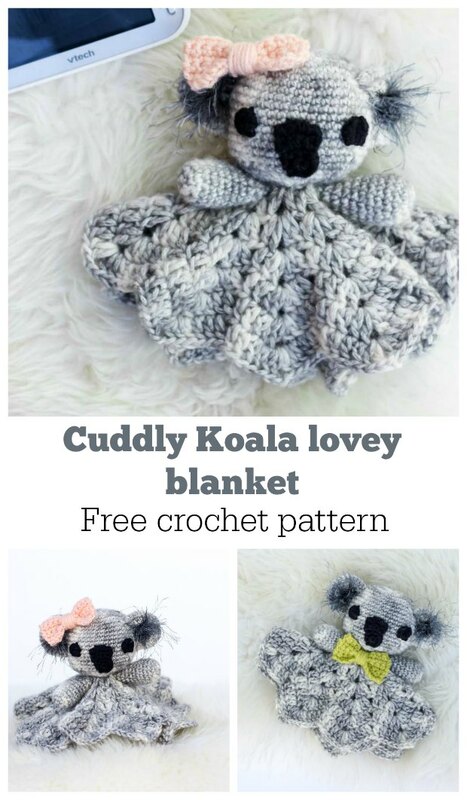 The crochet koala lovey pattern can be acquired for a small fee and afterwards downloaded in PDF format. The document is accompanied by detailed instructions that also come with pictures and illustrations for every stage of the process. The instructions are written in clear American English, and there is the use of standard American crochet terms and abbreviations for easy execution of the pattern. The Koala baby lovey cannot be described as being too technical but does, however, require some level of skill. 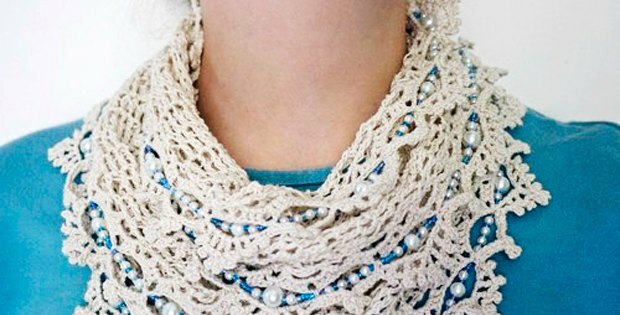 Combining two well-loved crochet items into a single beautiful piece does take some creativity as you can imagine. The results are astounding, too pretty to keep to yourself. I would recommend you try out this pattern in your spare time, preferably on the weekend. It doesn’t take up too much time to complete, but I insist you pay keen attention to the detailing. I’d rather spend an extra hour just to be sure my finished item is as I want it to be. All in all, this should be a fun project for you. Nap time is as valuable to babies as water is to fish. With this crochet Koala baby blanket, you can put your precious little ones to sleep knowing they’ll be warm and well taken care of. Any project I undertake with a child in mind is to me the best way to express pure affection and motherly care. You can add this cuddly koala baby blanket to a new baby’s gift basket, or you could gift it to a couple expecting a baby. 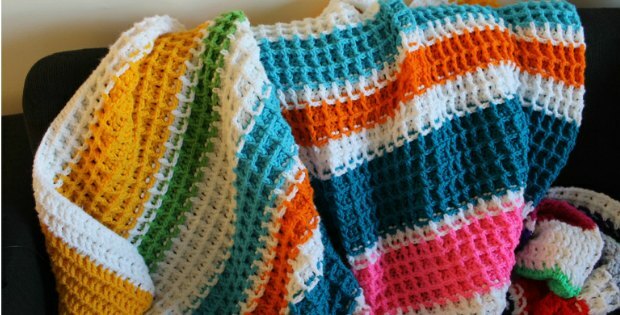 Why not crochet up a handful of these blankets and donate them to a children’s hospital? I know I say this plenty of times, but every time I get the opportunity to do something sweet for the folks over at my local children’s hospital, I embrace it with open arms. I invited over a couple of my friends, and we had a blast crocheting Koala baby lovey blankets. We each used different color schemes and boy was it amazing. The medley of colors and cute Koalas was too amazing. What felt even better was giving these fantastic creations away to charity. Nothing beats that feeling.